Ahead of Anthony Crolla's fight with Vasyl Lomachenko Red Army Bet looks back at some of the greatest upsets in British boxing history. Despite being a huge outsider, Anthony Crolla can take inspiration from the great British fighters of yesteryear in Los Angeles at the weekend and here’s why. The odds will be stacked against Anthony Crolla when he steps into the ring against Vasyl Lomachenko at The Staples Centre on Friday night – quite literally with the challenger currently 14.50* to win the bout – but he wouldn’t be the first British boxer to cause a huge upset on foreign soil. The Ukrainian star is one of the sport’s pound-for-pound best and will put his WBA and WBO lightweight titles on the line against Crolla in California on April 12 with few expecting anything more than a convincing win for the current champion. Lomachenko has claimed world titles in three weight divisions, defeating Jose Pedraza on a unanimous decision to add the WBO belt to his WBA strap in December, while Crolla previously held the WBA belt and became the WBA’s mandatory challenger for Lomachenko after a points victory over Daud Yordan in Manchester last November. But the 32-year-old Mancunian isn’t just going to Los Angeles for the sunshine and believes his opponent is far from unbeatable, telling Red Army Bet that “I believe that I can win a world title again, and these are the kind of fights that I’m in it for,” ahead of his clash with the two-time Olympic gold medallist. So with that in mind, here are just some of the British boxers who have crossed the Atlantic and thrown the formbook out the window in order to claim the biggest scalps in the sport. Lloyd Honeyghan cemented his place among the very best of British boxing by delivering one of the most impressive and unexpected wins in history from a Brit fighter on the road when he beat the hugely fancied Donald Curry in September 1986 to cause one of the biggest upsets of the time. Curry boasted an unblemished 25-0 record which was viewed with more importance by the bookies than Honeyghan’s own run of 27 fights without a loss while at stake were Curry’s WBC, WBA and IBF welterweight titles, but perhaps more importantly, the winner of this one could quite rightly call themselves the undisputed champion. Honeyghan came out fighting from the first bell and didn’t let up throughout the encounter and after a clash of heads opened a nasty cut over Curry’s left eye he saw his chance and landed a furious combination that hurt Curry and sent the champion back to his corner shaking his head and he would not return, retiring from the fight as a jubilant Honeyghan collapsed to the floor as the new undisputed welterweight champion of the world. One of the greatest nights in British boxing, not to mention one of the biggest shocks in the history of the sport, occurred on the 6th of December 1974 when Olympic silver medallist John H Stracey travelled to Mexico City to challenge defending WBC welterweight champion Jose Napoles with few giving the likable Londoner a chance against one of the world’s top fighters and arguably the best welterweight in history. 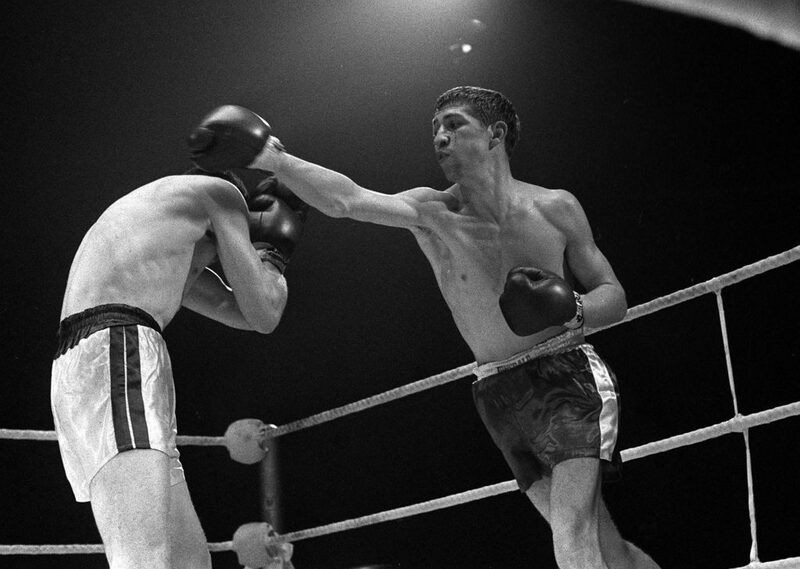 Napoles was known as “Mantequilla” because he was apparently as smooth as butter and boasted an amazing 81-6 record having beaten fine fighters such as Emile Griffith, Curtis Cokes and Hedgemon Lewis during his 17-year pro career. Meanwhile, Stracey’s form was a little more modest at 42-3-1 as the two met in the afternoon sun inside a bullring in Mexico City with a hugely hostile crowd of over 40,000 baying for Stracey’s blood. Stracey went down in the very first round but rallied to floor Napoles in the third before taking the fight to his opponent and after a succession of heavy blows the partisan crowd were stunned to see the referee step-in and call a halt to the now one-sided encounter with the hometown hero, who would never fight again, crumpled on the ropes while the win ensured Stracey would return to England a hero. 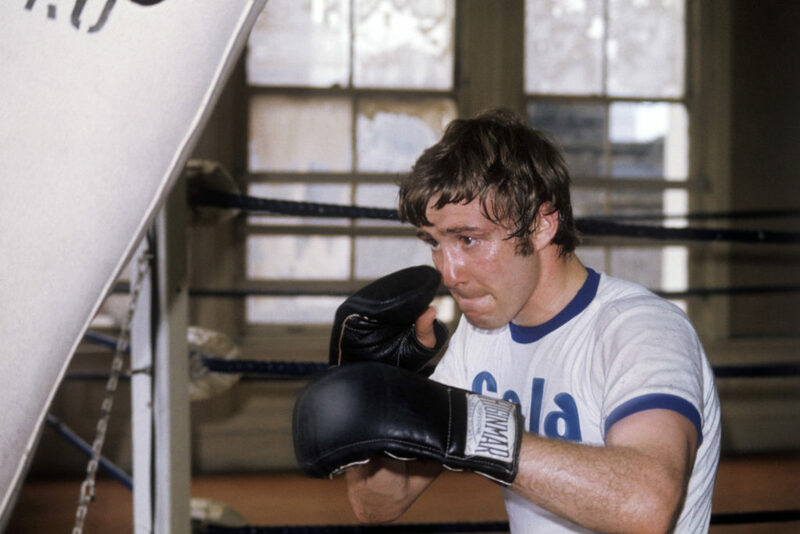 Ken Buchanan was more used to the chilly sports halls of Scotland than the 100 degree heat and humidity of South America, but in 1970 he would cross the Atlantic to cause one of the biggest shocks in sporting history and become the first British lightweight champion since Freddie Welsh in 1917 by beating Laguna Ismael. Laguna was a native of Panama and had beaten greats such as Carlos Ortiz and Carlos Hernandez before winning the world lightweight crown and running into Scottish legend Buchanan, who had continued his ascent towards the world’s number one spot by defeating Leonard Tavarez and Chris Fernandez, before travelling to Puerto Rico in September 1970 where he would meet the formidable world lightweight champion. Many feared that San Juan’s sweltering climate might affect Buchanan’s performance in the ring, but the Scotsman proved them wrong to beat the home favourite Laguna by a 15 round decision against all the odds to claim the World Lightweight Championship belt, which he would defend 12 months later against Ruben Navarro in Los Angeles. Nottingham’s Kirkland Laing went over to America as something of a sacrificial lamb to the slaughter and an easy comeback opponent for Roberto Duran but went on to embarrass one of the greatest boxers of the time to become an inspiration to a generation of British fighters who have entered the ring with the odds stacked firmly against them. Duran had lined up the easy-going and often beer swilling Laing as little more than cannon fodder after he had been narrowly out-pointed in his previous fight against Wilfred Benitez while his opponent, already considered to be past his best even at 28 and who enjoyed life to the full, was on the comeback trail himself and saw this bout in Detroit as a stepping stone before facing a more realistic opponent. So such was the surprise when Laing defeated Duran courtesy of a split points decision an infuriated promoter, Don King, called for Duran to quit no doubt seeing one of his future cash cows going up in smoke while Kirkland Laing, he went home to enjoy himself as only he could, by enjoying a drink and a few cigarettes. As RedArmyBet ambassador Anthony Crolla prepares to face Vasyl Lomachenko in LA, we bring you our betting preview with tips and enhanced odds. United fan and leading lightweight contender Anthony Crolla, faces Liverpool fan Callum Smith ahead of this weekend's clash at Old Trafford.